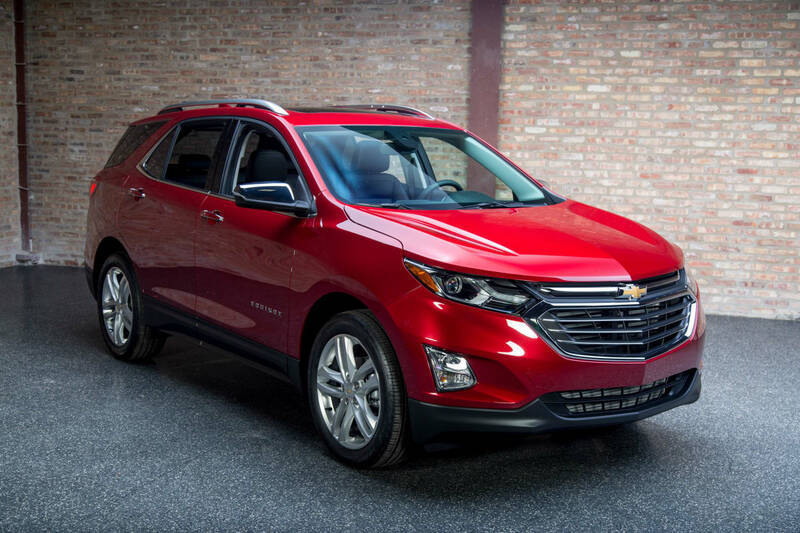 With the introduction of the 2018 Chevy Equinox in Naperville, IL, things are finally shaking up in the stale crossover segment. The redesigned Equinox is now a seven-passenger vehicle with a new and exciting look, larger cabin, new technology, and even more safety features tagged on. It even has a new diesel engine option that’s going to surely aid the Equinox by giving it an edge over the competition. After all, the Equinox is introducing the first turbodiesel engine found in the crossover segment in North America. Chevrolet of Naperville is excited about this, and we know other dealerships are as well. It’s always nice to see huge steps being made in any segment of the car world. 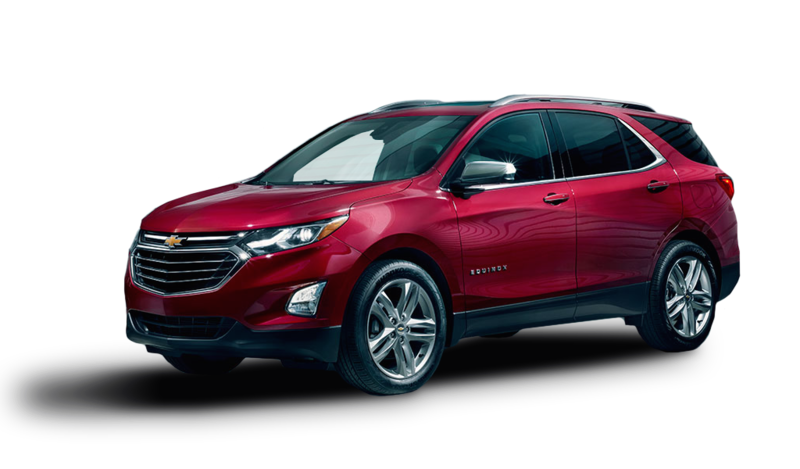 More importantly, with the full redesign experienced by the 2018 Equinox, it becomes a perfect blend of everything you need. It’s an all-new crossover SUV from the ground up, and has stronger architecture, greater efficiency, and more technology. This puts it in the league of the biggest competitors out there, and gives it a chance to take them on with a fresh design on the inside and out, more powerful and efficient performance, and advanced safety and technology features. While the 2017 Equinox is a great vehicle, it leaves a feature or two to be desired after taking a closer look at the highly-anticipated 2018 model. Performance-wise, the 2018 Equinox is taking the crossover segment by storm. Primarily, thanks to its newly available, much-anticipated class-first, 1.6-liter turbodiesel engine. It’s expected to put out 136 horsepower and 236 lb.-ft. of torque, and also get over 40 mpg highway, which would be very impressive for a seven-passenger toting crossover. 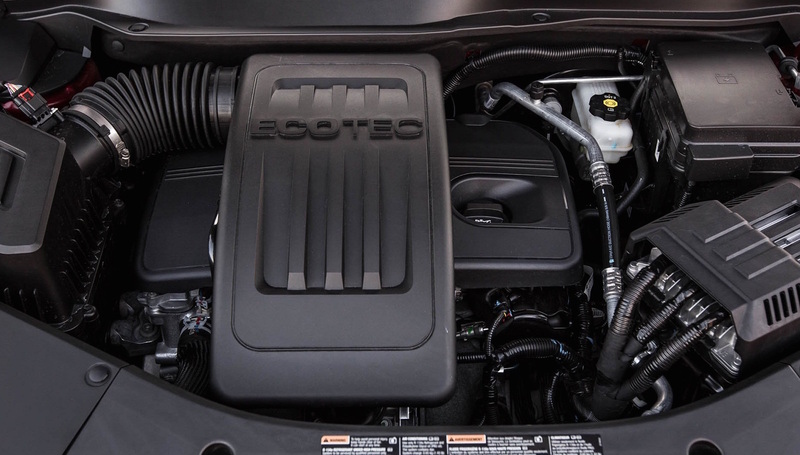 That’s not the only engine the all-new Equinox has in its arsenal either. The base choice is a 1.5-liter turbo engine that puts out 170 horsepower and 203 lb.-ft. of torque. It’s estimated to get up to 31 mpg highway. The 2.0-liter turbo engine with 252 horsepower and 260 lb.-ft. of torque rounds out the engine lineup. Front-wheel drive is standard, and the optional, switchable all-wheel-drive system will disconnect from the rear axle when it’s not needed. This helps conserve fuel by allowing the vehicle to operate only in front-wheel drive. In early 2017, the two gasoline engines will debut with the all-new model. The diesel engine will arrive sometime later that summer. On the safety side of things, the 2018 Equinox is also getting a few new safety features. The introduced features are all meant to enhance driver awareness on the road, provide alerts of potential crash threats, and even let the driver react and make the changes necessary in order to avoid them. Check out the following: a Safety Alert Seat, Surround Vision, Forward Collision Alert with Following Distance Indicator, Low-Speed Forward Automatic Braking, Lane Keep Assist with Lane Departure Warning, Rear Seat Reminder, Lane Change Alert with Side Blind Zone Alert, and Rear Cross Traffic Alert. While some of those might sound familiar, there’s a few in there that might be unfamiliar. Mainly, I’m talking about the Safety Alert Seat, Surround Vision, and Rear Seat Reminder. The Rear Seat Reminder is an ambitious name, but it makes sense once you learn about its purpose. It’s there to remind you if a child (or perhaps a pet) is in the back seat and you depart the vehicle. That way, you don’t forget them in the summer heat when going into a store to shop for an hour or two. The Safety Alert Seat used to be a GM luxury-exclusive feature, but can now be found on some of Chevy’s more affordable models — including the all-new Equinox. 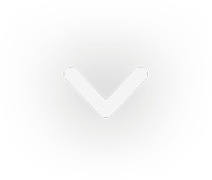 In a nutshell, it gets your attention through auditory alerts like beeps and haptics – a tactile feedback technology. By using left or right tapping, the seat can alert the driver of an accident. The Surround Vision Camera is a relatively new safety feature, which began appearing on vehicles in 2015. Now, the active safety feature is offered on many of Chevy’s models. It’s able to provide the driver with an overhead bird’s-eye view of the scene around the vehicle. That way, whomever is behind the wheel can see what’s behind the vehicle when backing out of a cramped parking space. Debuted as a redesigned seven-passenger crossover with a larger cabin is perhaps the most exciting thing we know about the 2018 Chevy Equinox so far. It’s new look echoes the global design cues that we see on Chevy’s other redesigned models for the 2017-2018 model year — athletic, bold, and sleek. Projector-beam headlights, LED daytime running lights, and horizontal taillights are all Malibu-inspired. There’s also a lot more chrome trim on this Equinox, which is not surprising. Chevy seems to like chrome trim these days. As far as measurements go, the 2018 Equinox will be 183.1-inches long, which is actually 4.7 inches shorter than the current model. Somehow, Chevy figured out how to make the interior more spacious, but the overall design shorter. Combine the shorter design with a base weight of 3,327 pounds — 450 pounds lighter than the current generation — and the fuel economy will surely benefit from the full-fledged redesign. On the inside, the cabin has been extensively restyled. Apart from now fitting seven passengers, it’s also had other aesthetic and appearance changes made. Leading the way is a down-and-away instrument panel that keeps things tidy, along with a dual-cockpit design with an integrated stack. This integrated design ensures that everything is kept right at your fingertips, and within arms reach. A kneeling rear seat has been added, and the bottom cushions tilt forward when the split-folding seat backs are lowered. Compared to the traditional of split-folding seats, this allows a much flatter floor for easier loading and unloading of objects. When all the seats are folded down, it gets 63.5 cubic feet of cargo space. You’ll also see some new connectivity technology, powered by either a seven- or eight-inch-diagonal MyLink infotainment system, designed to support both Apple CarPlay and Android Auto, along with OnStar and a 4G LTE Wi-Fi hotspot. While that hotspot and OnStar aren’t new, it’s nice to see them returning for the 2018 model year. 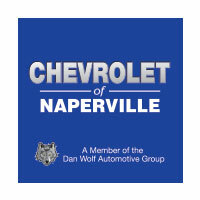 Chevrolet of Naperville is proud to be part of the Dan Wolf Automotive Group, which has been delivering quality vehicles and proven customer service to drivers since 1971. In other words — we know what you want and we have it. What you’re looking for is exceptional customer service, and the latest and greatest Chevy models. While the all-new 2018 Chevy Equinox won’t be released until early 2017, you can expect us to have it on our lot as soon as possible. A vehicle this great needs to be part of our superior selection of new and used Chevrolet models, which are all priced competitively. Customer satisfaction is our top priority though, and we’ll treat you right. Here, our sales come second, and your happiness comes first. Don’t believe us? Then you’ll be pleasantly surprised to discover that as soon as you walk through the door, you’re greeted with a smile and the full attention of our sales team. We offer competitive financing through our finance department, and also have an outstanding maintenance and repair facility at your disposal, staffed by technicians who have been professionally trained to work on your vehicle. What really shows our true colors though is our determination to give back to the communities we serve as much as we can. At the heart of this is the Turning Pointe Autism Foundation, which was first founded in 2007, and helps support manage the challenges of raising a child with autism. Irrefutable proof that we truly put our customers and community above all else.